The Pisa half-day tour from Lucca allows you to take in all that this amazing age-old city has to offer. The city is perhaps best known for its central plaza, known as the Miracle Square. The square contains the world-famous Leaning Tower, the Cathedral of Pisa, the Baptistery, and the renowned Campo Santo. The complex is known for its architectural style, as well as its significance in history, especially the Middle Ages and the Renaissance. The square and its contents are considered by most to be among the most beautiful collection of structures in all of Europe. While we usually suggest, when touring from Lucca, Pisa as part of a full day tour, which also includes the city tour in Lucca, a major regional center and a thriving modern urban scape. We also recognize that some want to just experience the beauty of Pisa as a freestanding destination. For that reason, we are glad to offer a ½ day plan to tour Pisa alone. In the Middle Ages, Pisa was a thriving and active metropolis. The city was a center of science, literature, art, and industry. It was not only influential, but also wealthy, which led to construction of many massive public structures, and for them to be ornately decorated in a way that is now known as the “Romanesque” style. This style, and the movement that it came out of are perhaps the most significant contribution that the town of Pisa made to the world. The Duomo, the first cathedral built in Tuscany, is where the local style of Pisan-Romanesque was first innovated. The style was later adapted and expanded upon by many other churches that copied it and made slight alterations to it in order to fit the local tastes. For this reason, the architectural style of Pisa can be considered an influential foundation for many different styles all over the western Mediterranean. Inside of the church, you will see the most significant feature of the building, and perhaps its most iconic visual, the elaborately decorated pulpit. The frescos and plasterwork mimic the elements originated in the pulpit all through the main chapel and the spaces which branch off. The same look and feel are also represented outside in the secondary pulpit that is located near the baptistry near the façade of the cathedral. Nearby the Campo Santo, or the Holy Field, a monumental cemetery that, according to the legend, was filled with dirt that was brought back to Pisa by the crusaders who originated from the area after they visited the Hill of Cavalry, believed to be the location where Jesus and the two thieves were crucified. Also located in the square is the world-famous Leaning Tower. Perhaps the most well-known of all of the Italian towers of its kind, there are many legends and theories about the lean. Many believe that the tower may have been designed to lean intentionally. Others have stated that the design had a flaw which was put there intentionally as a way to stab at the leadership of the city by the architects, still others have proposed that the city was being punished by God for its hubris and he tilted the tower to teach the city humility. Legends have it that Galileo used to drop things off of the tower in order to test his theories of bodies in motion. Perhaps if this is true, that was the reason the tower was built to lean. No matter what the cause of the lean, we do know that the tower is 14 feet off perpendicular, and has not found its final resting place yet. The tower leans a little more, a few millimeters, every year. It is currently open for visits once again, after many years of being closed to the public for renovations and work aimed at stabilizing the structure. It has been said that climbing the tower is one of the most awakening experiences that a person can have while traveling in Italy. If you find yourself with the half-hour minimum needed to go up, it really is an experience that should not be missed. The longer the better, as this is the only tower of its kind that allows you to go outside at every level and walk around it a full 360 degrees. 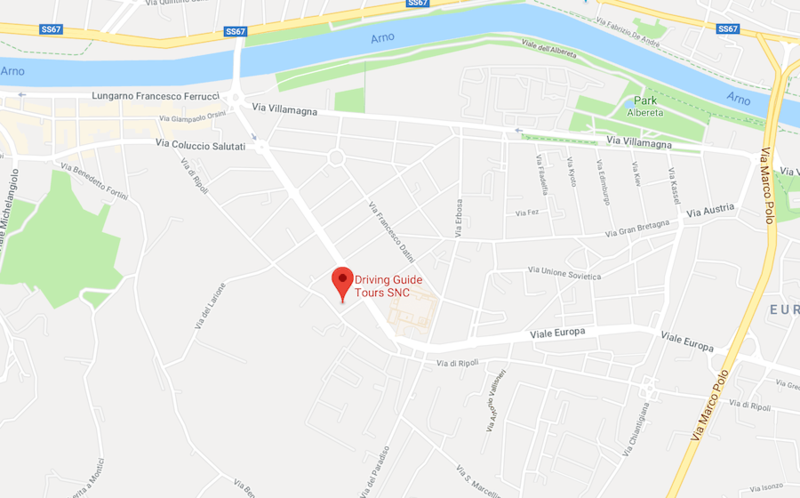 Your tour from Lucca may include a driver guide who will be happy to show you around the sights of Pisa, and help you with additional arrangements if needed. If you are going to take the tower climb, it’s a good idea to make sure that you have your reservation made ahead of time, as tickets are required, and it can be very hard to get them on site, especially during the height of tourist season. After your climb, there are a few popular food stalls nearby where you can get a snack, but there are very few eateries in the area worth taking the time for. Instead, wait till you get back to Lucca or to another major area with more upscale dining options.